Stunning E-glass rocket ship from 2008 with an almost total refit in 2016 to bring her totally up to date. 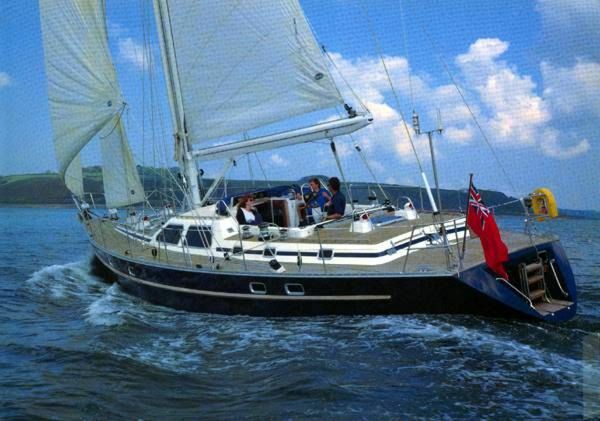 Ultra-stylish, yet ultra-practical and set up for effortless short-handed fast cruising. 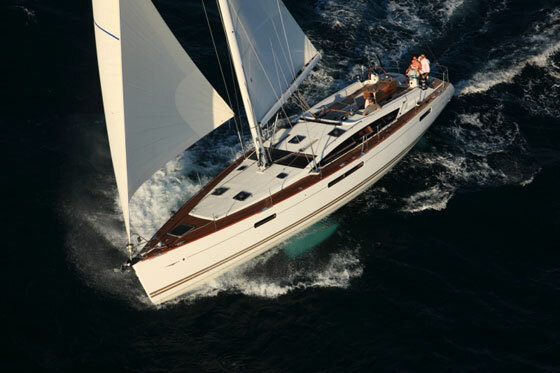 This alluring 53' cruiser-racer expresses new concepts in design and functionality. 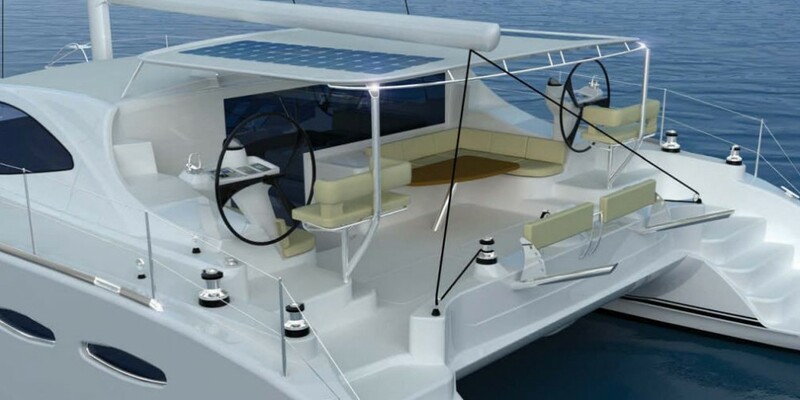 It has a racer cockpit with clever guides for the platforms and with the option of a garage tender and a navigating bridge afterdeck worthy of a much larger vessel. 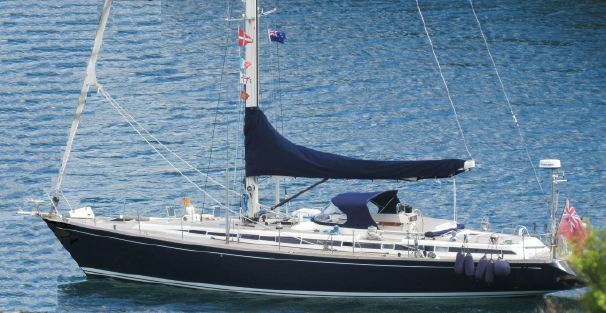 The soft deckhouse line is without continuity solutions, as exemplified by the refined porthole design. The slender and elegant hull has a powerful shape, and a noteworthy, streamlined stern transom that contrasts with an almost vertical bow post. The new GY 53 is at once a break with, and a reminder of tradition. The elegantly finished and comfortable interiors complete the picture of a boat that doesn't shy away from the admiration it deserves. Gieffe Yachts represents a coming together of operators with more than thirty years experience in the yacht construction sector, the yard is run by a young and dynamic team of managers and technicians who strongly desire to bring a breath of fresh air to the sector. The "Gieffe Yachts" team has located its new operating base in an industrial zone south of Bergamo, in the heart of Lombardy. Inside the shipyard is a high-tech atelier equipped to work with advanced composite materials. Of particular note is a modular drying plant which can accommodate the after-care of manufactures of up to 24 metres in length at temperatures of 120°. The design projects are entirely developed in a three-dimensional environment in order to benefit from the most modern computer simulation and numerically controlled realization techniques. 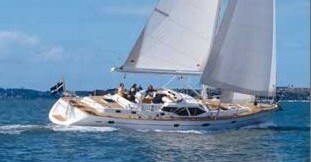 Grabau International offers the details of all vessels in good faith but cannot guarantee or warrant the accuracy of this information or warranty the condition of any vessel and the details do not constitute a part of any contract. A buyer should instruct his agents, or his surveyors, to investigate such details as the buyer desires validated. All vessels are offered subject to prior sale, price change, or withdrawal without notice. 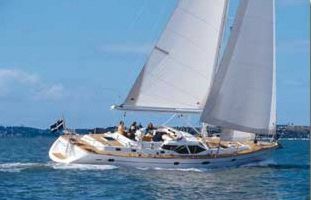 Grabau International provides professional yacht conveyancing and legal transfer of title for all yachts as per the ABYA Code of Practice with all deposit payments and final balance payments processed through secure dedicated client accounts solely for that purpose. Our dedicated client accounts are written in trust at Natwest Bank and we are fully insured.